The Dandelion Wishes House is a Covenant Children’s Home in the Prakasam District of India that was established by my friends Lesley and Mike Glenn. If you are looking for a direct way to have impact on the lives of these girls who are blessed to have found love and shelter in one of the most at-risk and impoverished environments on the planet, please consider supporting them in prayer and finances. I know their heart is to be able to have even greater impact by reaching many more of these precious ones with the love and compassion of Jesus. Together we can help make that happen. 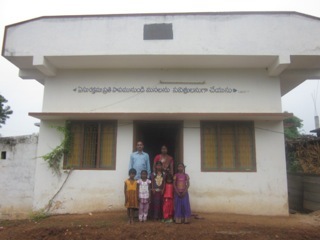 Linga Samudram was opened in 2013, under the umbrella of Covenant Children’s Homes – India. It is located in the Prakasam District in the state of Andhra Pradesh near the city of Ongole. • A church home with parents – a local pastor and his family. • A family-style living environment. • An English speaking education in order to learn their way out of poverty. • Daily discipleship and worship, growing in a relationship with God.